Although fewer American families are participating in a retirement plan at work, more of those with a plan are in a 401(k). At the same time, ownership of individual retirement accounts (IRAs) is falling, according to a new report by EBRI. 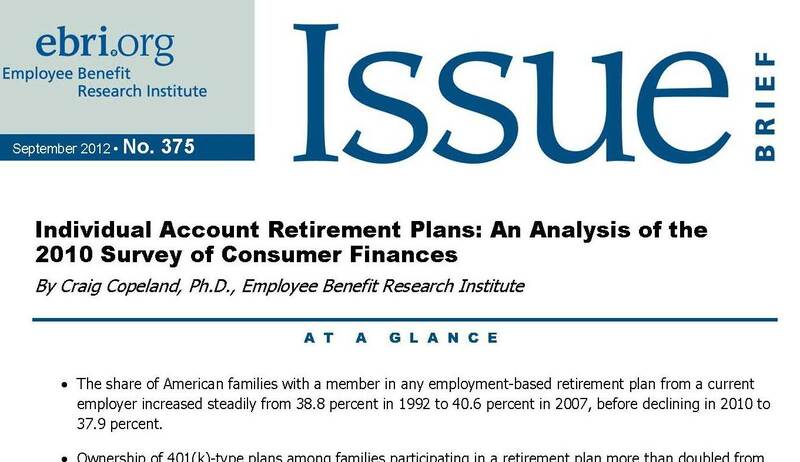 Analyzing the four-year period from 2007‒2010, EBRI finds that the share of American families with a member in any employment-based retirement plan from a current employer increased steadily from 38.8 percent in 1992 to 40.6 percent in 2007, before declining in 2010 to 37.9 percent. Ownership of 401(k)-type plans among families participating in a retirement plan more than doubled from 31.6 percent in 1992 to 79.5 percent in 2007, and increased again in 2010 to 82.1 percent. 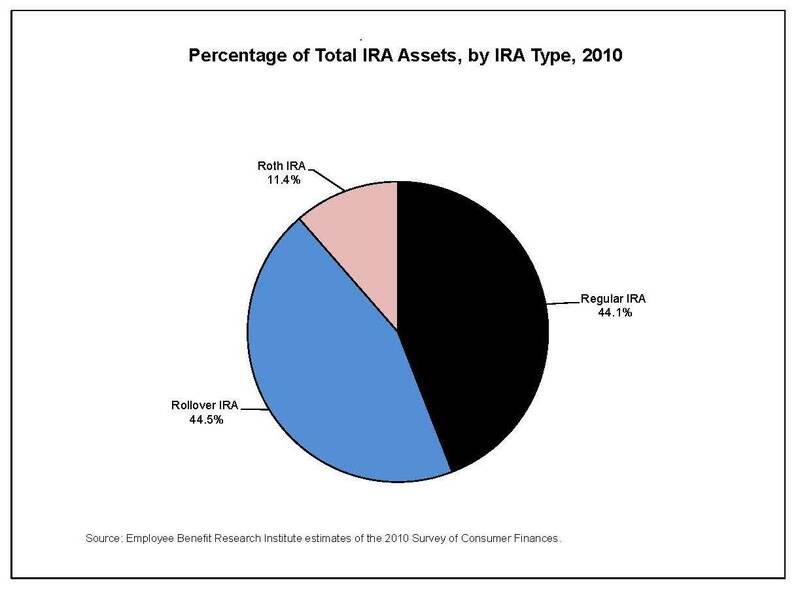 But the percentage of families owning an IRA or Keogh retirement plan (for the self-employed) declined from 30.6 percent in 2007 to 28.0 percent in 2010. In addition, the percentage of families with a retirement plan from a current employer, a previous employer’s defined contribution plan, or an IRA/Keogh declined from 66.2 percent in 2007 to 63.8 percent in 2010. Defined contribution plan balances accounted for 58.1 percent of families’ total financial assets in 2007, and that share grew to 61.4 percent in 2010. Defined contribution and/or IRA/Keogh balances increased their share as well, from 64.1 percent of total family financial assets in 2007 to 65.7 percent in 2010. Across all demographic groups, these assets account for a very large share of total financial assets for those who own these accounts. However, the EBRI report notes that the most recent data, along with other EBRI research, indicate that many people are unlikely to afford a comfortable retirement. “Americans lost a tremendous amount of wealth between 2007 and 2010, and the percentage of families that participated in an employment-based retirement plan and/or owned an IRA decreased as well,” said Craig Copeland, EBRI senior research associated and author of the report. However, he added, the percentage of family heads who were eligible to participate in a defined contribution plan and actually did so remained virtually unchanged during this time. Therefore, despite all the bad news that resulted from this period, one positive factor should be noted: “Those eligible to participate in a retirement plan continued to participate—which may help change the likelihood of a lower retirement standard for many Americans,” Copeland said. The full report is published in the September 2012 EBRI Issue Brief, available at EBRI’s Web site at www.ebri.org The press release is online here.